As a Senior Vice President, Addie is responsible for the firm’s multifamily and mixed-use investments. Over the course of her career, she has been responsible for nearly $1B in multifamily ground-up development activity in the Boston market, performing all aspects of the development process including sourcing, permitting, financing, design and construction oversight, marketing and leasing oversight, and disposition. Prior to rejoining Leggat McCall, Addie was a Senior Vice President with Pritzker Realty Group (PRG), where she was responsible for the execution of $370M of ground-up development, including a 28-story high rise in the Back Bay. 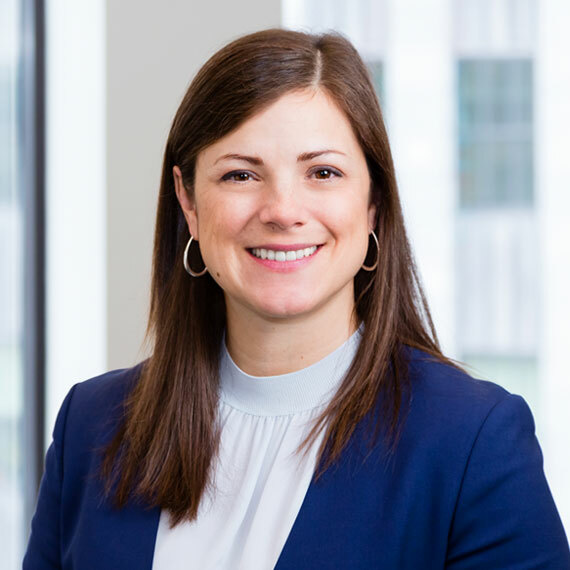 Prior to PRG, she was a Director with Wood Partners, a national multifamily development company, where over the course of eight years she was responsible for the development of ten projects totaling over 1,800 units and over $500M in total cost. Addie began her career in real estate as a sustainability consultant. She originally joined LMP in 2004 in a development management role.